Meeting THAT Guy? 12 Fabulous Outfit Options! Got a date with that special guy? 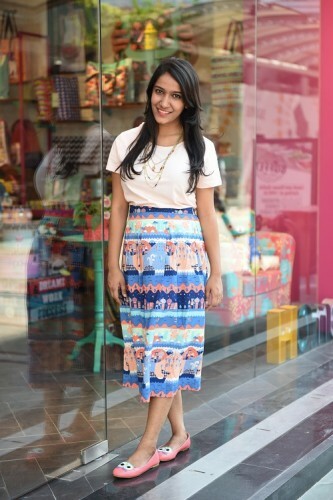 Look no further than our one-stop-shop for cute and quirky clothes - Chumbak! 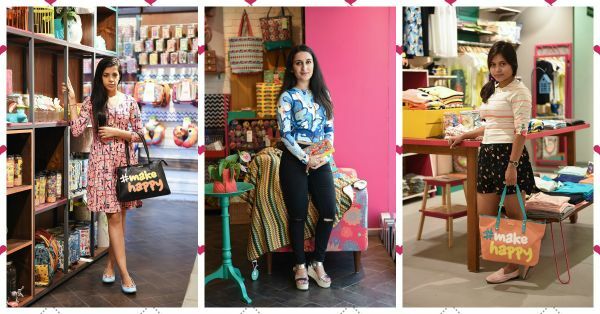 POPxo staffers have picked out some of their favourite looks from the Chumbak Collection One, ideally suited for a day of fun. So if you like what you see, head on over to the nearest Chumbak store, or even their website, and get shopping! PS: They’re on sale!! Gopika EM, the POPxo Social Media Manager makes for a pretty picture in this spring fling shift dress and matching cropped jacket. The fresh blue hues are perfect to brighten up a gray winter day. And how cute are here feline-themed black ballerinas and the colour-burst of a bag? For purse enthusiasts, there are LOADS of options to choose from. Account Manager Ragini Kapoor makes a bold choice in this pink birdhouse skater dress and matches it perfectly with the #makehappy black satchel and owl mint ballerinas! 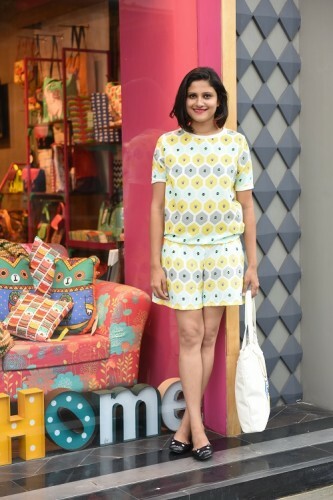 Kritika Rathi, Fashion Writer, aces the ‘romper look by carefully matching a pair of the pixel heroes shorts with a ribbed top bearing an identical print. The black-cat ballerinas add a dash of drama and add some contrast to the look! Comfy AND chic! Fashion Writer Apurva Lama looks fresh and funky in a pair of soldier sailor shorts, cleverly matched with a rocket-sleeved navy sweater! 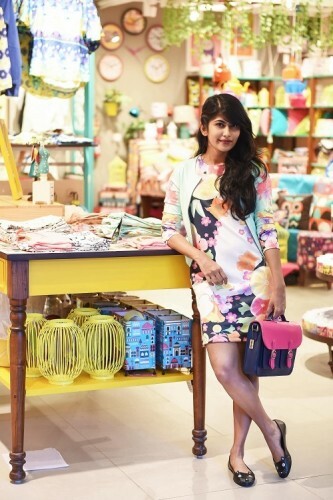 The whimsical Chumbak purses just scream CUTE! Palki Malhotra, POPxo’s Network Influencer and Ops Manager Gives off the perfect, beachy vibe in this bayside pleated skirt and navy tee. 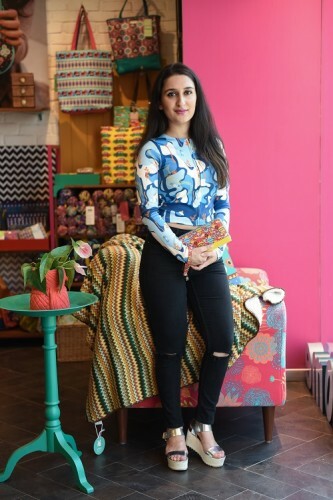 The high-waisted style suits her curves and one of the many Chumbak scarves and purses complete the look! 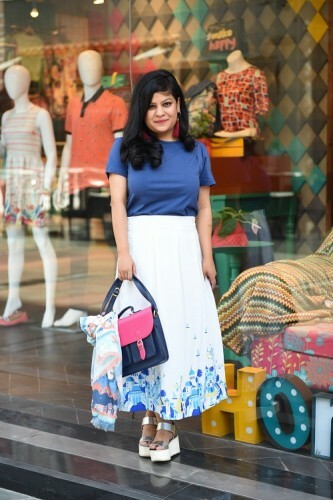 Lifestyle Writer, Neha Gupta, looks movie-ready in this ivory tee, moby pleated skirt (featuring little whales), delicate layered necklace and pink owl-ballerinas! 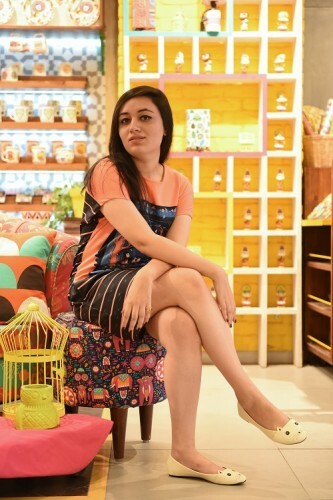 Divya Sharma, Trending Editor, keeps it cute and fuss-free in this aquatic-themed bodycon dress and owl-eyed ballerinas in mint! 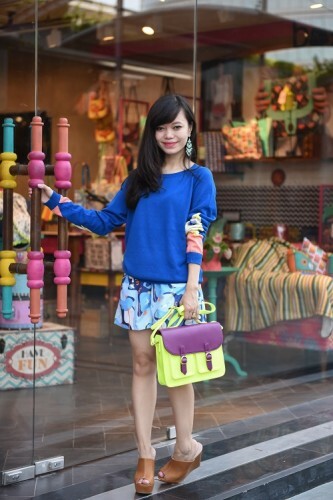 She adds some drama to the look with a brightly-patterned wallet. Senior Lifestyle Writer, Simar Rana, looks edgy and rock chic in this bright-blue soldier sailor cropped jacket, strategically ripped dark jeans, and silver-hued platforms. The wallet adds a pop of cute to this otherwise dramatic look! Dakshee Haryani, Social Media Coordinator, looks fresh and feminine in the city in bloom pleated dress and owl ballerinas in soft pink! The chunky bracelets and pink-and-green wallet set off the look perfectly! Assistant Editor, Caroline D’Cruz looks swaggerific in these black-patterned shorts and figure-hugging cropped jacket. 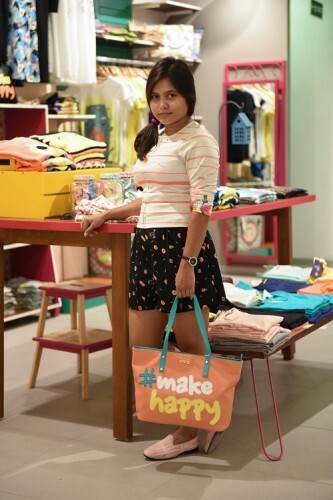 The bright #makehappy tote bag adds a burst of cool, sporty style to the look! 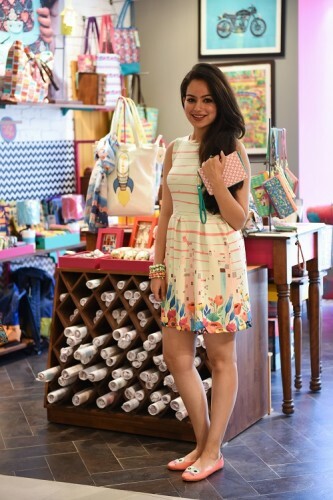 Avisha Chaudhary, Social Media Coordinator, keeps it simple in this brightly-patterned twilight tales shift dress. Her funky and minimalistic look is completed with a pair of beige kitty-ballerinas! 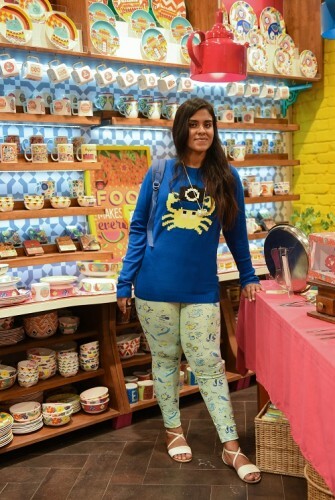 Audience Insight Analyst, Mohina Chadha keeps it quirky yet practical in this blue pixel crab sweater paired with a bold pair of sail away leggings! A simple yet statement look! *This is a sponsored post from Chumbak. For more such looks, check out their Collection One range, now on sale!